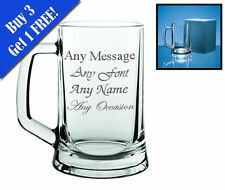 Personalised Engraved Pint Glass with Gift Box. The glass is engraved and will hold no colour. 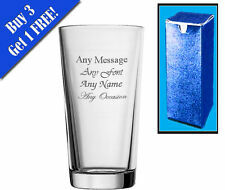 Text Colour: No colour, Outline cut into glass. The glass is 16 cm tall and 11 cm at widest part (approx), with a capacity of 660 ml. This glass is also dishwasher safe. Free Gift Box. 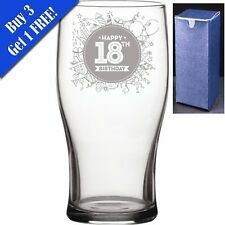 A perfect gift to the Godfather at a christening made on a CE marked, toughened Pint Glass. Tall Pint Beer Glass. 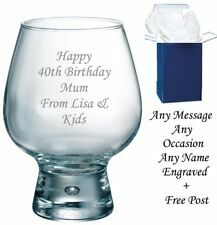 engraving holds no colour outline cut in to glass. Capacity: 1 Pint. If you do not pick a font we will pick a popular one for you. 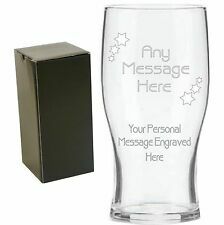 Personalised Engraved Pint Glass with Gift Box. Why not add a personalised bottle opener to complete this personal gift. 16th 18th 21st 30th 40th 50th 60th. The glass is engraved and will hold no colour. With no unnecessary frills, these pint glasses feature an organic, easy-to-hold shape with the John Smith's logo on one side. A Welsh dragon engraved onto a CE marked, toughened pint glass, with your choice of text below, above or both, in a font of your choice. A Perfect gift for a proud Welsh man or woman.